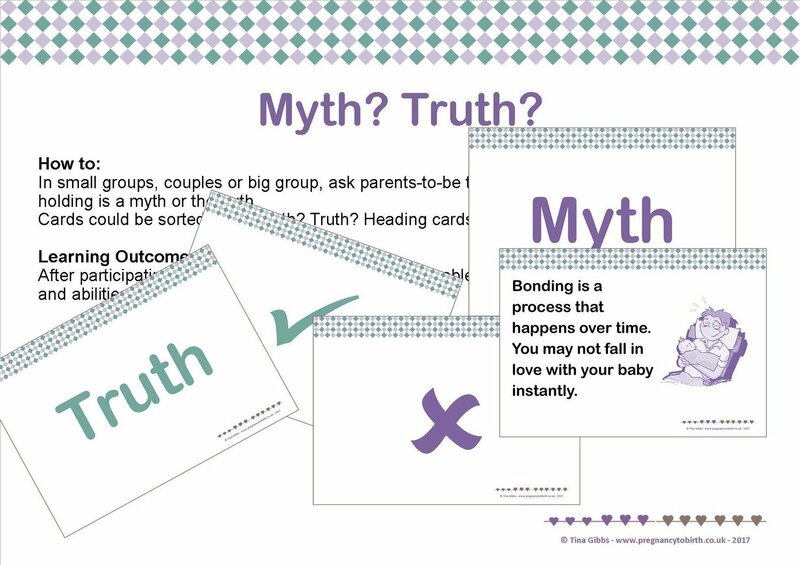 In small groups, couples or big group, ask parents-to-be to decide whether the card they are holding is a myth or the truth. Cards could be sorted under Myth? Truth? Heading cards or ‘tick’ and ‘cross’ cards. A4 or A5. Print-your-own pdf file.